If you want to buy a house, there’s a high chance you’ll need a mortgage loan. Almost everyone will get one unless they’re extremely wealthy. A mortgage loan is likely to be the largest loan you’ll ever get in your entire life. Its purpose is to cover the costs of the house you want to buy. As the people at AMCAP Mortgage note, there are plenty of different mortgage loan types and programs out there. 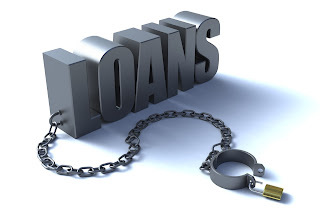 There are loans that are approved by different people and organizations. There are mortgage loans that are set up with different repayment schedules and interest rates. If you need to get a mortgage loan, it makes sense to search around for the best one. I won’t go into too much depth here, but you’ll want one with low-interest rates. If the interest rates are high, it will end up costing you more and more and make you take longer to pay back. Never rush into getting a mortgage loan, it’s a huge financial decision. Take your time, there’s a lot of money in play here! This is a loan for anyone that wants to go and get a college education. If you go off to a university, you’re likely to get a student loan. Your student loan will cover a number of things. For starters, a portion of the loan will be for your tuition fees. This means it’s money to cover the actual costs of your education while at college. Then, you’ll have the rest of it to cover your living costs while away. If you’re staying on campus, your student loan will cover the maintenance costs. This is all the stuff like heating and water bills. Of course, you should have some money left over for yourself. Ideally, this is meant to be there to help you pay for academic essentials, like books and stationery. But, unsurprisingly, a lot of students just spend it on whatever they like. With a student loan, you don’t get a choice of lenders. The amount will usually be decided by your national government. Also, you have to pay it back, but there may be rules in place. In some places, you don’t have to pay it back until you start earning a certain amount of money. Make sure you read the details, so you know the payment structure. The final loan on this list is very common worldwide. A short-term loan is designed to be quick and allow people small sums of money. The idea is that if you need money to pay a bill, you get a short-term loan so you can manage. Sounds really helpful, right? The problem is; these loans often have high interest rates. So, if you miss the repayment date, you end up having to pay way more than you borrowed. I do think they’re a handy idea, but only if you use them correctly. Only get a loan if you know you can pay it back by the required date.